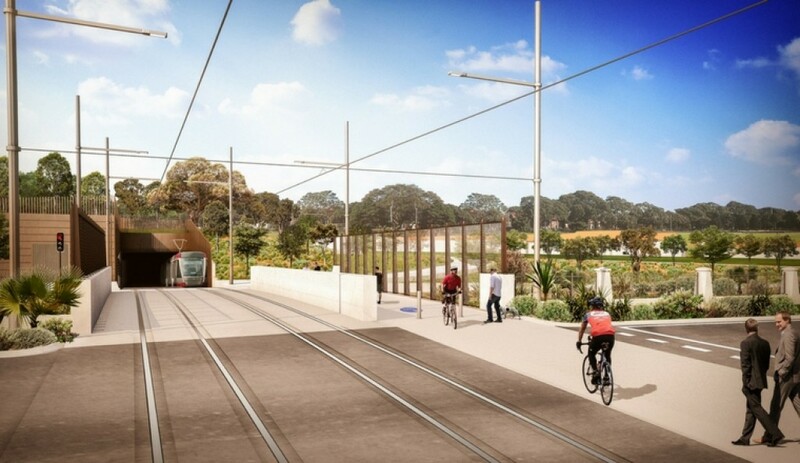 NSW Government: The tunnel breakthrough will allow the construction team to finish the tunnel structure underneath Anzac Parade, construct the tunnel portal near Moore Park and install the tracks. Once completed, it will provide a direct link between Surry Hills and the Moore Park sporting and entertainment precinct via the new Eastern Distributor Bridge and under Anzac Parade. More than 84,000 tonnes of fill has been excavated, and more than 2000 tonnes of Australian steel have been used to build the 517 metre light rail tunnel underneath Moore Park West. “Constructing the tunnel has been a huge engineering feat, using a cut and cover method under the Moore Park playing fields and a top-down technique underneath Anzac Parade to keep traffic moving above,” Minister for Transport and Infrastructure Andrew Constance said. More than 10 kilometres of track has now been laid with the first light rail vehicle set to be tested in late 2017.